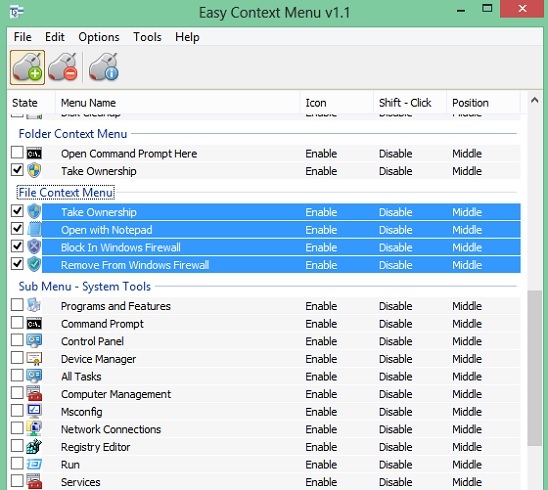 Easy Context Menu is a free context menu editor. Using it you can quickly edit context menu which you get when you right-click on desktop, drives, folders, files and applications. 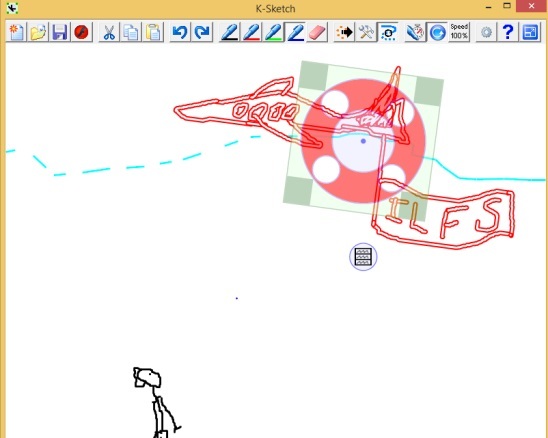 This is a good freeware to speed up your working performance in PC and laptops. You can add shutdown, restart, delete temporary files, show or hide hidden files and folders, show hide extensions, select all files, copy IP address, reduce memory, and more other powerful actions to right-click menu. It is a simple but effective context menu editor, which gives you very easy platform to quickly apply changes to context menu and, undo all change by just one single click. 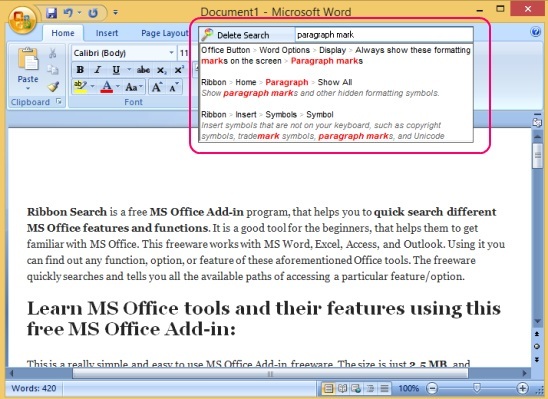 Easy Context Menu is a good option to choose as a context menu editor. Good thing is, it’s portable and downloads fast. And it is supported in Windows 7, 8, and XP. This free context menu editor has a pre-built set of powerful and handy operations that you can add to the context menu. All these operations are grouped according to the right clicking actions that you do on the Desktop, My Computer, System Tools, System turn off, Drives, Folders, and Files/applications and are arranged under these titles respectively. All you have to do is, go to the desired title and then enable the desired operations that you want to include in context menu. You can also multi-select and enable all operations of a label. Simply click on the label name; all operations under it get selected and then click on State button, this “Checks On” all the operations. Next is finalizing the modifications. To apply them click on Apply Changes button. 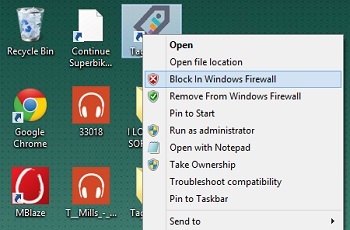 The operations that you can add in the context menu are pretty powerful, like: blocking program or file through Windows Firewall, take ownership of files and folders, quickly access system tools, force shutdown, lock users, hibernate etc. All these help you to perform power users actions with just one single click. And good thing is you can not only apply these changes to context menu easily, but you can also remove them in an instant with a click of a button. To remove added items from list, simply uncheck the unwanted ones, and click on Apply button, or just click on Uninstall All button to remove all added items. Multiple operations to be added in the context menu of desktop, my computer, files, folder, drives etc. Quickly apply and uninstall all changes by just few clicks. If you are looking for some more context menu editors, then check these out: Right Click Enhancer, Desktop Launcher, and Right Click menu creator. Easy Context Menu is a good context menu editor. However, it does not has options to add or delete custom operations in the list. But the list itself is pretty much enough. All in all a good freeware to use. 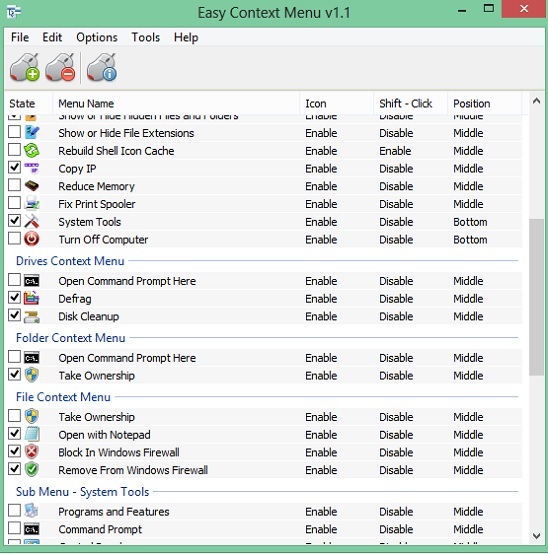 Get Easy Context Menu here.